I love unicorns and I believe in them too, do you? Of course you do! Wear these unicorn badges proudly every day and let everyone who you meet know that too. 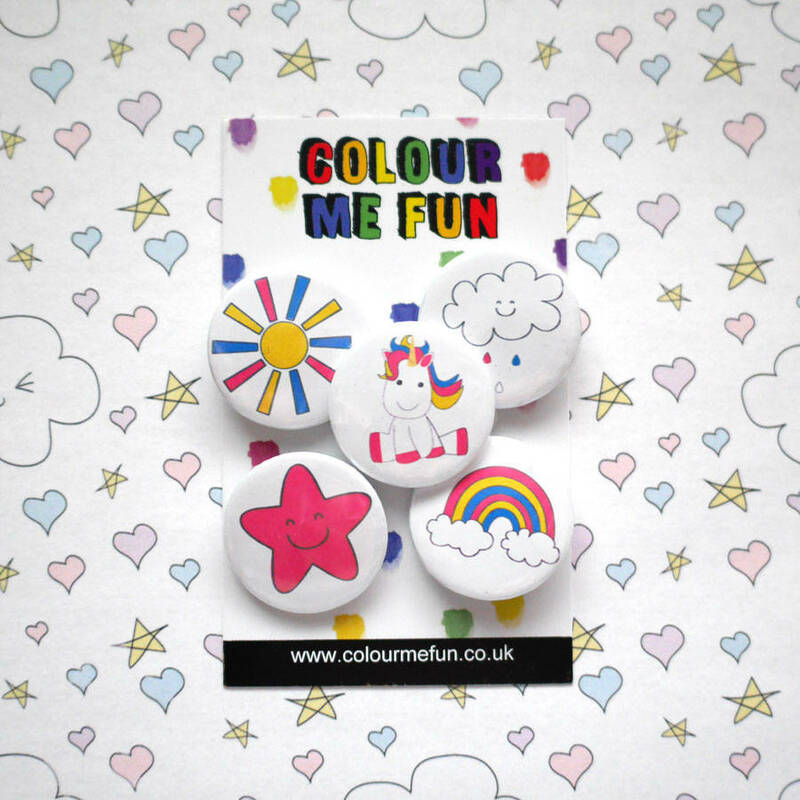 Our unicorn button badges are full of magical fun. They are a great idea for party favours, birthday gifts, or just because! 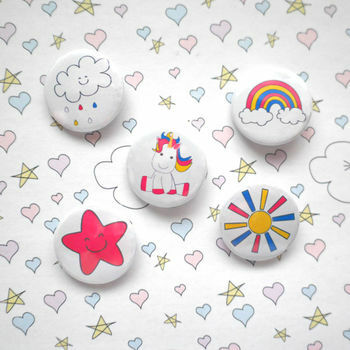 Each set contains 5 different badges: unicorn, rainbow, star, sun, raincloud. Each badge measures 1". Please remember that badges are sharp so please help smaller hands when they are putting on their badge.